If you read the news regularly, you have learned a good deal in recent years about all the wonderful ways people find to cook their companies’ books. They record phantom sales. They hide expenses. They sequester some of their properties and debts in a mysterious place known as off balance sheet. Some of the techniques are pleasantly simple, like the software company a few years back that boosted revenues by shipping its customers empty cartons just before the end of a quarter. (The customers sent the cartons back, of course—but not until the following quarter.) Other techniques are complex to the point of near-incomprehensibility. (Remember Enron? It took years for accountants and prosecutors to sort out all of that ill-fated company’s spurious transactions.) As long as there are liars and thieves on this earth, some of them will no doubt find ways to commit fraud and embezzlement. But maybe you have also noticed something else about the arcane world of finance, namely that many companies find perfectly legal ways to make their books look better than they otherwise would. Granted, these legitimate tools aren’t quite as powerful as outright fraud: they can’t make a bankrupt company look like a profitable one, at least not for long. But it’s amazing what they can do. For example, a little technique called a one-time charge allows a company to take a whole bunch of bad news and cram it into one quarter’s financial results, so that future quarters will look better. Alternatively, some shuffling of expenses from one category into another can pretty up a company’s quarterly earnings picture and boost its stock price. A while ago, the Wall Street Journal ran a front-page story on how companies fatten their bottom lines by reducing retirees’ benefit accruals—even though they may not spend a nickel less on those benefits. Anybody who isn’t a financial professional is likely to greet such maneuvers with a certain amount of mystification. Everything else in business—marketing, research and development, human resource management, strategy formulation, and so on—is obviously subjective, a matter dependent on experience and judgment as well as data. But finance? Accounting? Surely, the numbers produced by these departments are objective, black and white, indisputable. Surely, a company sold what it sold, spent what it spent, earned what it earned. Even where fraud is concerned, unless a company really does ship empty boxes, how can its executives so easily make things look so different than they really are? And short of fraud, how can they so easily manipulate the business’s bottom line? The fact is, accounting and finance, like all those other business disciplines, really are as much art as they are science. You might call this the CFO’s or the controller’s hidden secret, except that it isn’t really a secret, it’s a widely acknowledged truth that everyone in finance knows. Trouble is, the rest of us tend to forget it. We think that if a number shows up on the financial statements or the finance department’s reports to management, it must accurately represent reality. 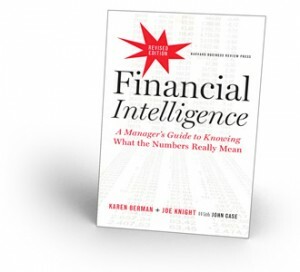 This is an excerpt from Financial Intelligence: A Manager’s Guide to Knowing What the Numbers Really Mean by Karen Berman, Joe Knight, and John Case, published by Harvard Business School Press, 2013. Copyright 2013 Business Literacy Institute. All rights reserved. Purchase Financial Intelligence through Amazon.